Oozing contemporary style and grace, Sian Storey’s new Gallery Print collection consists of 6 deluxe prints, available unframed or framed. These are some of Sian Storey’s most celebrated recent artworks. Each deluxe giclée print is printed onto beautifully textured 310GSM German Etching paper that has an exquisite velvety finish. The vibrant colours are rich, and stay true to the original artwork. Conveniently ready to hang in your home, the black gallery-style solid wood and glass frame is an optional choice, making framing straightforward for you. Each open-edition print is signed and titled on the front by artist Sian Storey. 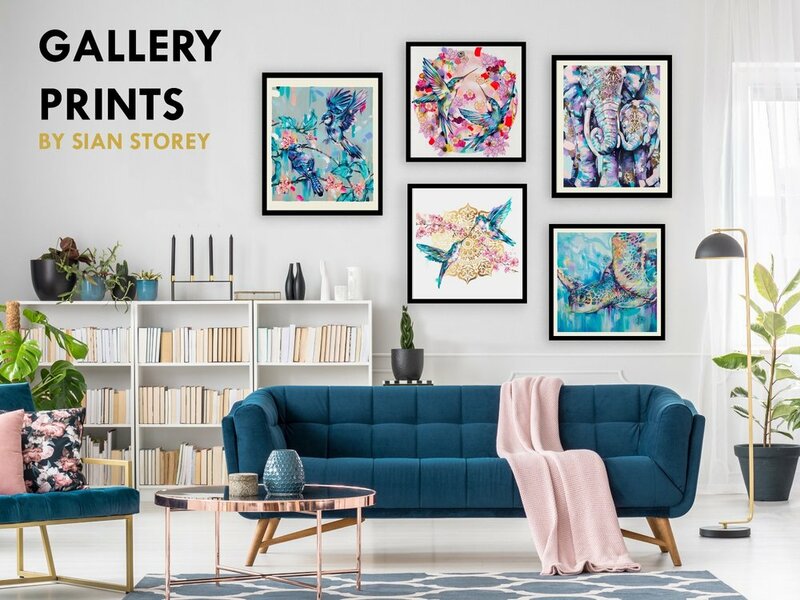 With 6 prints in the collection, you can adorn your entire home with Sian Storey’s acclaimed art. Your home is your gallery, after all. 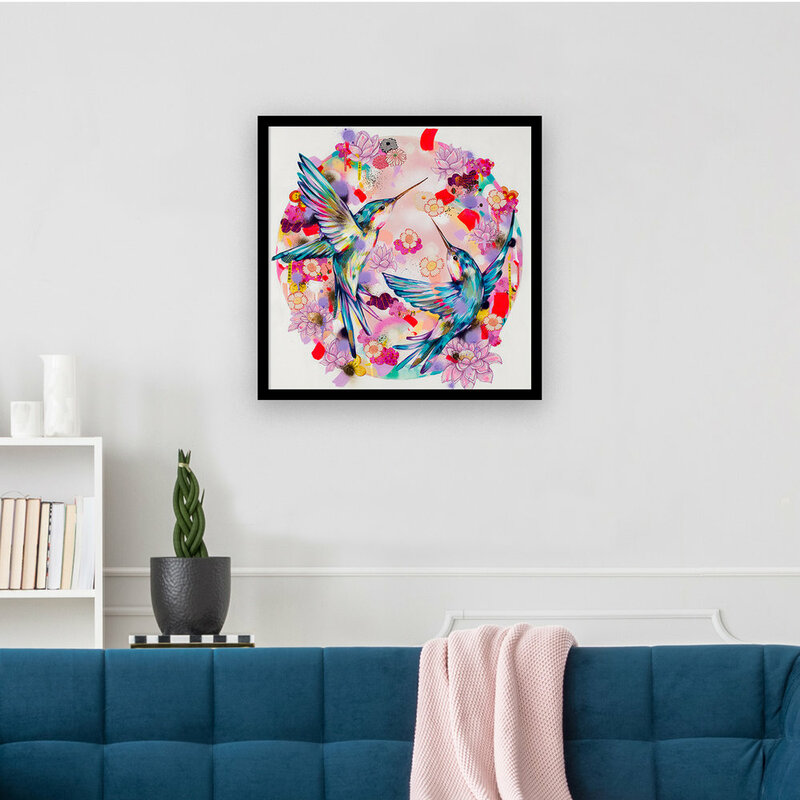 Whether you’re looking to brighten up your hallway, create a beautiful space for the cosy season or bring a sense of serenity into your home, the art will bring you years of joy. 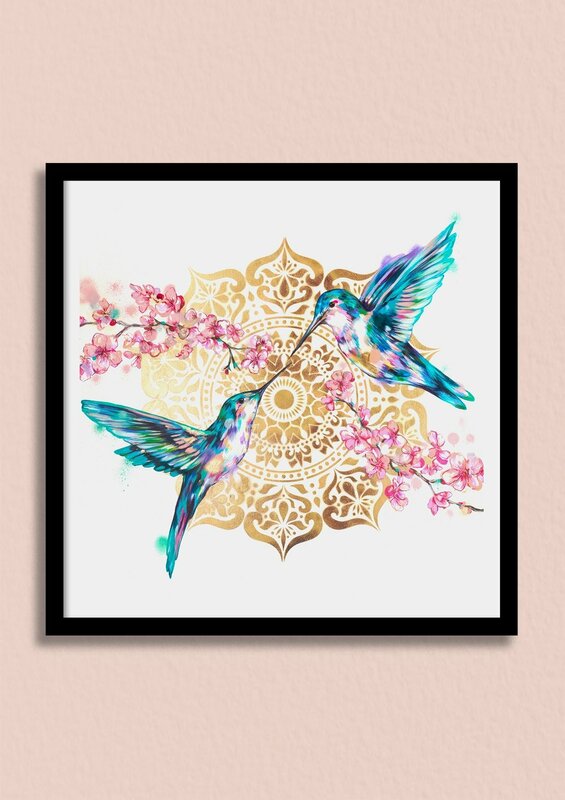 Wake up to the beautiful glow of a Japanese sunrise, with this spectacular hummingbird print. 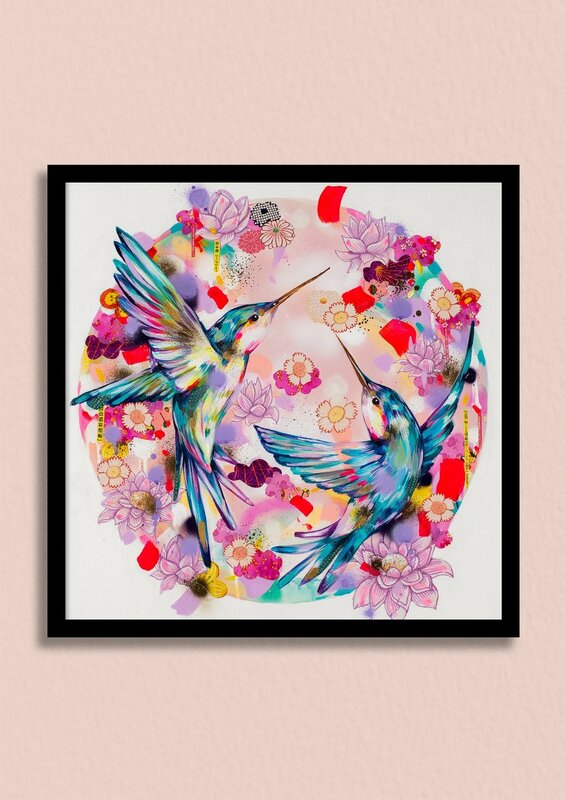 Be inspired by the sheer beauty and symbolism of hummingbirds and Japanese sakura blossoms. Dive into a sea of colour. 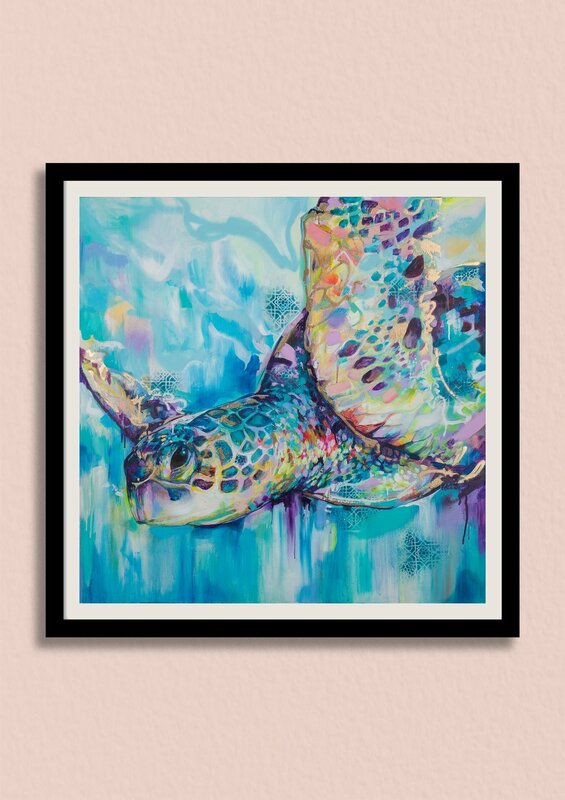 You’ll love this unique sea turtle art print that celebrates the beauty of the ocean. 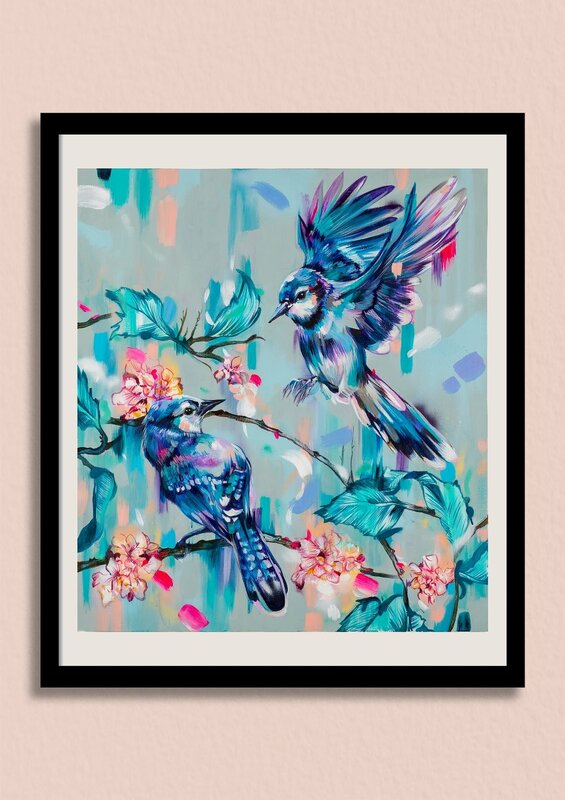 This blue jay artwork captures the freshness of a dew sprinkled morning. This tender elephant artwork channels the sadness and fragility of life. 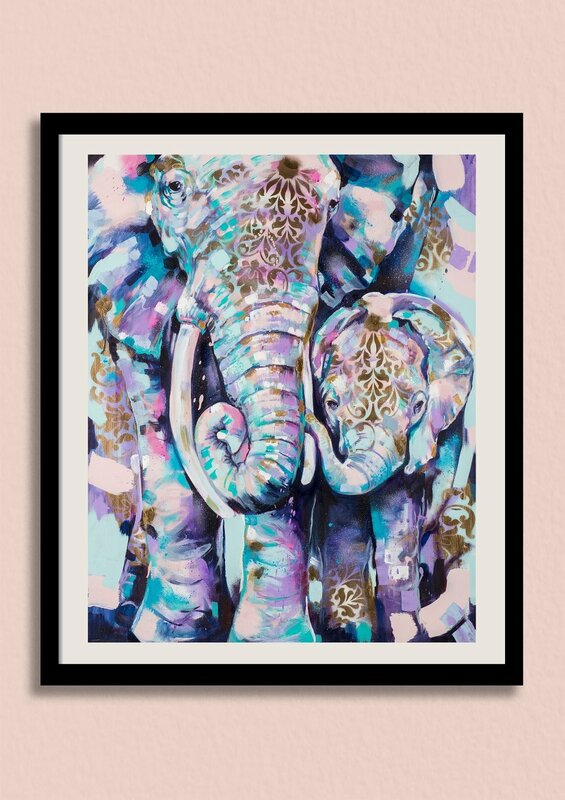 Sian Storey's most popular elephant artwork, available beautifully framed for the first time.